Do you remember that sense of wonder you often felt as a child? When each new experience fired your imagination and curiosity? When your creativity ran free? 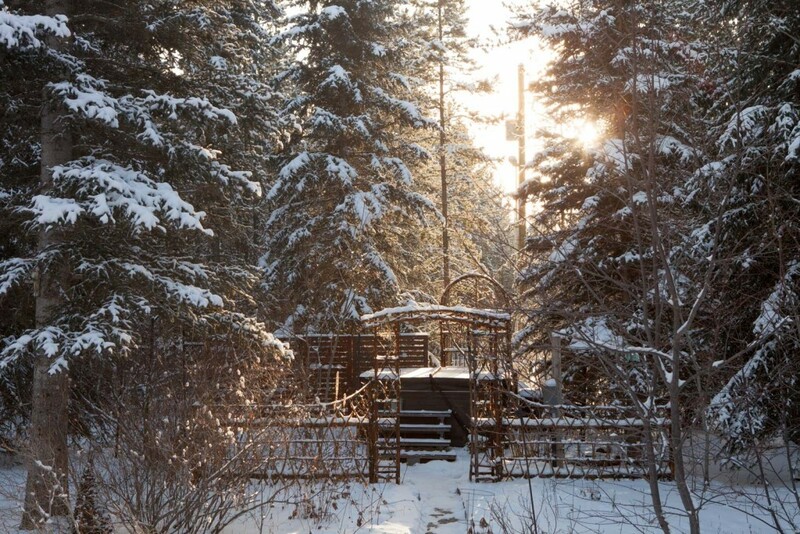 We invite you to revisit that sense of wonder at Hidden Valley Bed and Breakfast in Whitehorse, Yukon, Canada. There are some things you just can’t do in Vancouver . . . and our Whitehorse boutique accommodation is the perfect setting for your winter get-away! 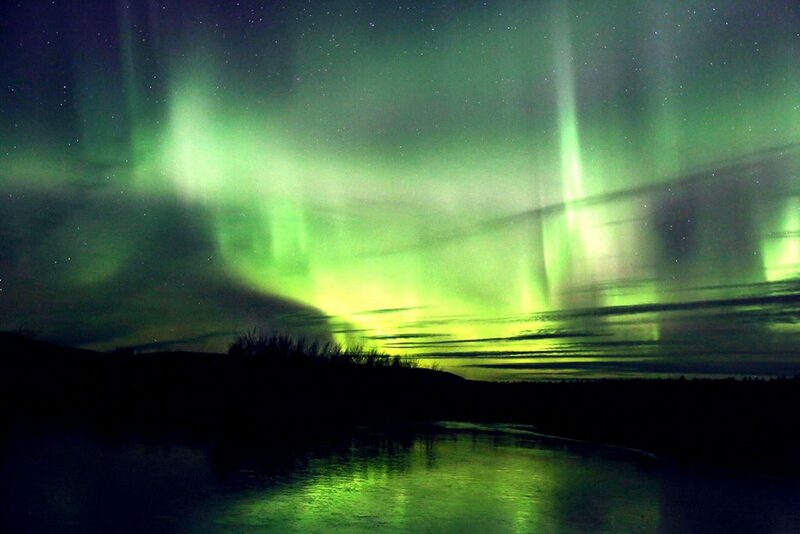 Watching the Northern Lights (Aurora Borealis) dance above your head is a jaw-dropping one-of-a-kind experience. 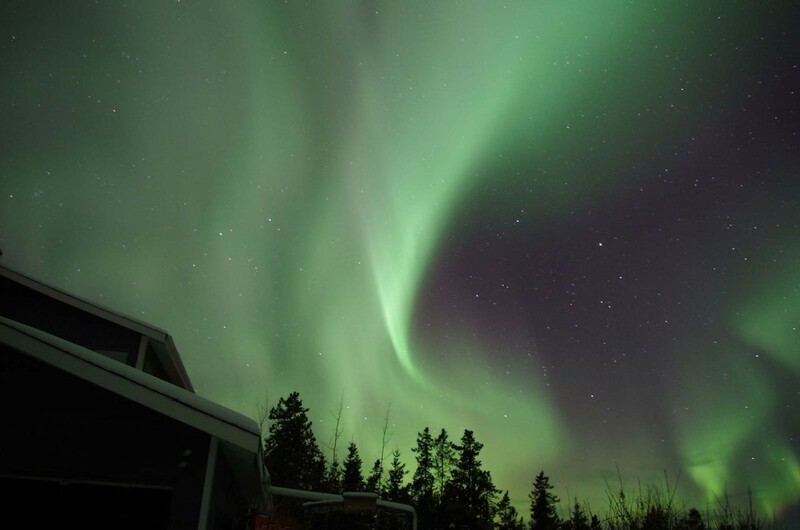 You can watch the Aurora from the front courtyard of the B&B—no need to leave the property. Our B&B guests often wow us with their photos of the Aurora display over the courtyard and barn. Want to get your blood pumping in a totally different way? Try dog sledding, snow shoeing, riding snow mobiles and ice fishing. 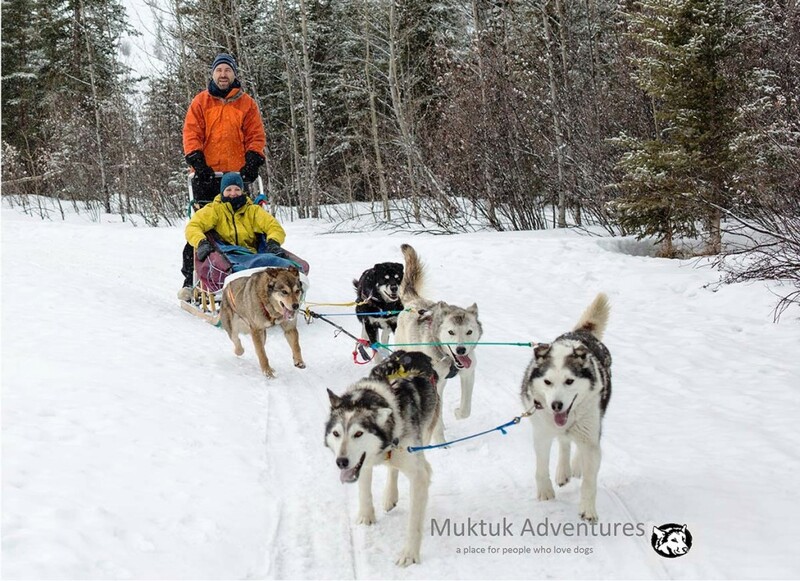 Whitehorse offers some of the best winter excursions in Canada! 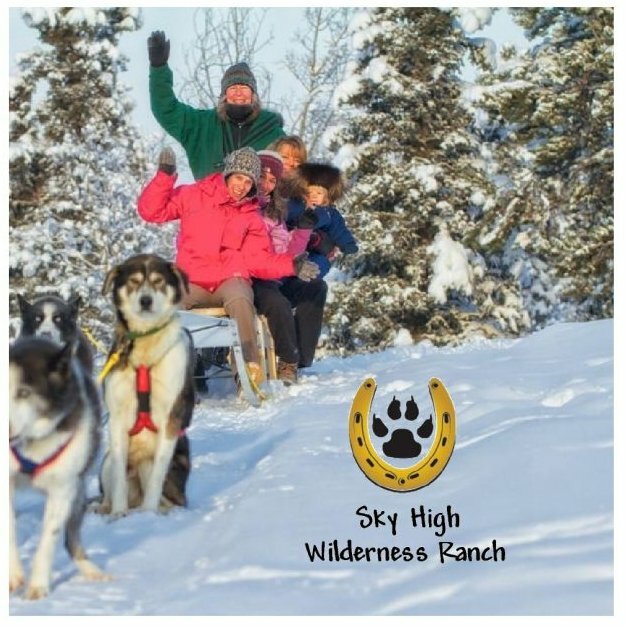 You won’t forget your first experience handling a team of sled dogs in the back country under a clear blue sky! Let us book your outdoor adventure for you: all you have to do is show up. If outdoor adventure is not your style, our downtown core offers enchanting winter displays that are sure to delight! 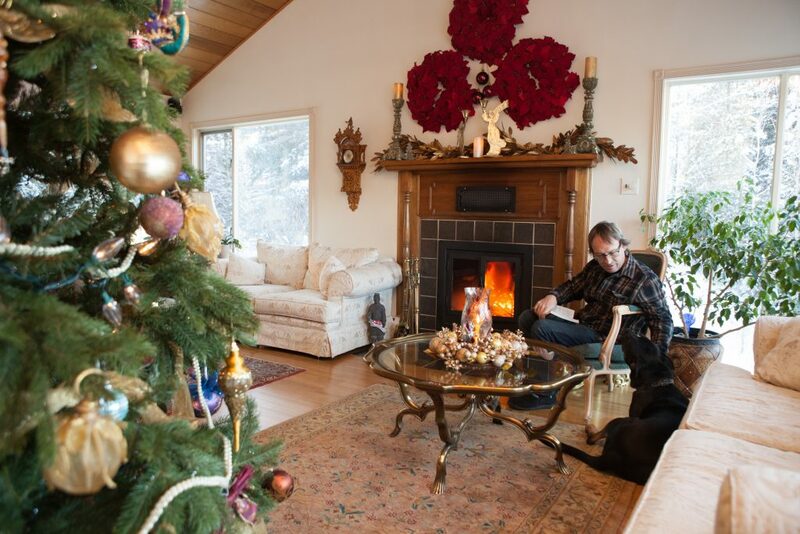 Browse, shop, eat and drink all day, then come home to the B&B where you’ll cozy up with a book by the fire, or soak under the stars in our six-person hot tub. If you book over Christmas, you have the option of joining other guests for a Christmas Dinner in our beautiful dining room. Simply sit back and relax, then enjoy dinner with new friends from around the world. 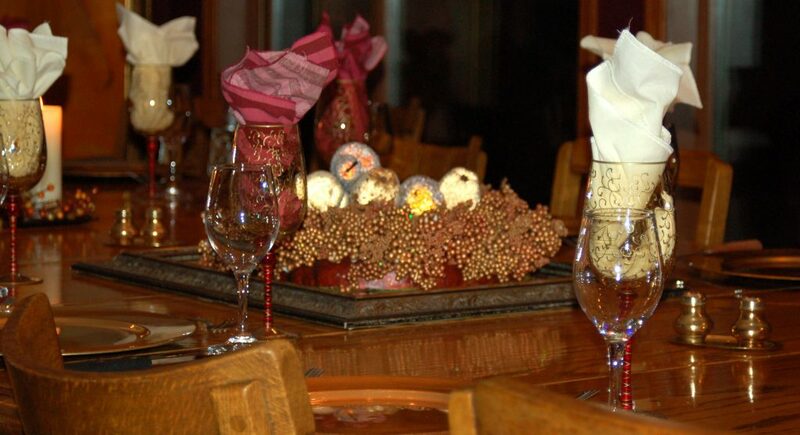 If we haven’t captured your imagination yet, visit our Gallery for photos of Hidden Valley Bed and Breakfast in winter. We sparkle in every season—particularly in winter! To enjoy your winter get-away, first book your room online, then book your flight with Air North, which offers a direct flight from Vancouver International. Socrates said, “Wonder is the beginning of wisdom.” To walk through life with a sense of wonder means you open up to a higher knowledge that is beyond the physical mind. Your tool to tap into this wisdom is your imagination.